You’re invited to join me Thursday, Mar. 22, 7-9:30 PM. 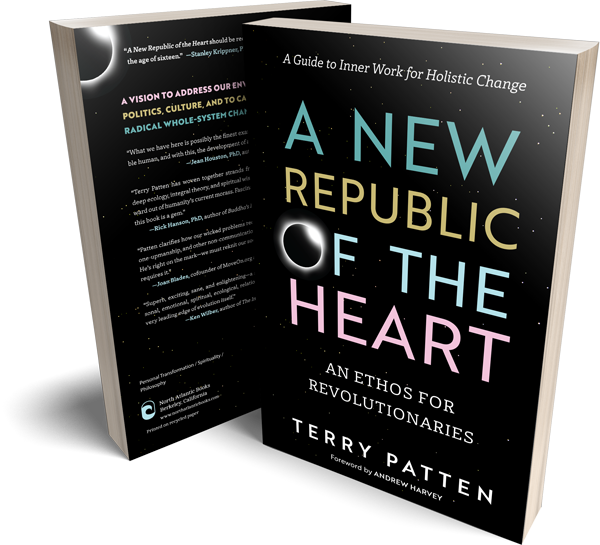 I’ll be at the Boulder Integral Center for a talk and celebration of the release of my new book, A New Republic of the Heart: An Ethos for Revolutionaries. The Integral Center has been the site of countless wonderful experiences with my integral friends, and yet its days are numbered, so this evening feels like a homecoming of sorts, and a bittersweet finale. I’ll offer a short talk about A New Republic of the Heart, then facilitate conversations. We’ll explore deep questions into the biggest issues of our lives and this crazy time. Books will be available for purchase which I’m happy to sign.